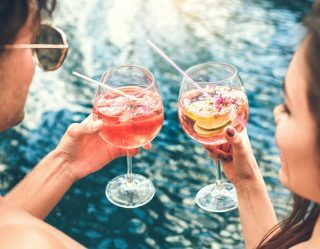 In travel, as in golf, the entire idea of “a bucket list” is becoming trite and cliched — overused shorthand to pile up any potentially fun experiences a man would like to take on before he’s too old or too dead to get to it and at it. It’s silly in the end because there are invariably too many potential adventures for any one man to tackle in his lifetime. 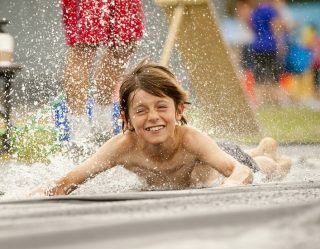 Rather than make such a list, he should simply take on the challenges that life presents…Unless, of course, he’s a golfer and has a chance to play the 17th at TPC Sawgrass. Then, crack the binder on that Bucket List after all. The Island Green 17th is one of designer Pete Dye’s masterpieces and the most famous hole in professional golf. Yes, the combined holes of Amen Corner at Augusta National are legendary. The 18th on The Old Course at Royal St. Andrews has an endless history. But, even casual golfers or fans know the Par 3 17th down in Ponte Verda, Florida (top). Home of the Player’s Championship in May – golf’s unofficial fifth Major – TPC Sawgrass is in top condition, regardless of the season or the surprising eccentricities of northern Florida weather. I received an offer to play the course as it transitioned into early preparations for 2016’s championship later this Spring. I jumped at the chance, knowing it’s a rare opportunity for a mere mortal golfer like myself to step onto a $500 per round course. However, I went into it knowing the lies would be tight and the greens quick — with 17 waiting as the final payday. Hole 2 – Elevated mounding behind the green provides a great place to watch players decide whether or not to go for the par 5 in two or lay-up. 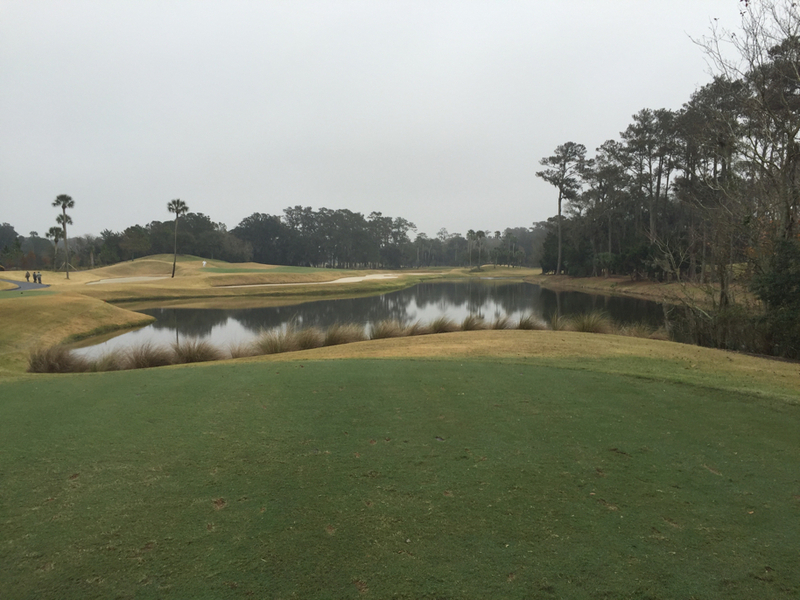 Hole 4 – Sit on the bulkhead around the water surrounding the green and dangle your feet. Hole 11 – A fan favorite par 5 where players often go for it in two, the green is surrounded by sand and water, which provides non-stop drama and excitement. Hole 17 – The ultimate golf spectator experience, the iconic 17th island green…This is a perfect spot to watch golf and then see players walk off the green and through the tunnel as they head to the 18th tee. 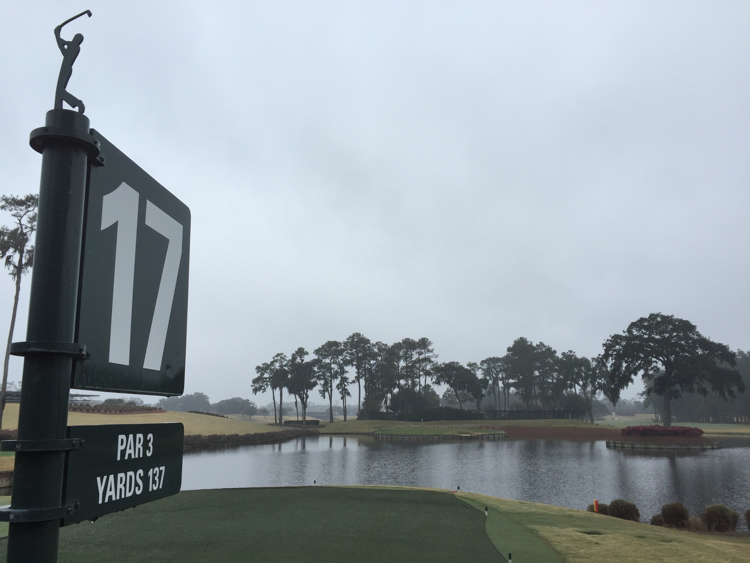 You can get the sense from those that 17 is the star around Sawgrass. Only 137 yards, the par 3 offers a green reachable to competent players via eight iron to pitching wedge, depending on individual strength. But, the hole demands absolute accuracy as The Island Green is 78 feet across and your only possible target as water consumes everything else. Whether preparing for the round, dressing in the impressive TPC Sawgrass Clubhouse or warming up on the practice range, the 17th was on my mind. It stays there even after teeing off at the 1st, 2nd, 9th, 10th, etc. The 17th looms with a player’s exciting mix of anticipation and dread. F0r a pro, the 17th might be very literal fame and fortune. For the amateur, there’s nothing at stake but pride and countless potential stories, but such tales are why a lot of players sign up for the game. As I three-putted from 30 feet and double bogeyed 16, my mind was already on 17 and had been for several shots. If I could master the Island Green, I would manage something many pros struggle to do. Great golfers won or lost the Players Championship on that hole — and this was my shot to stand with the pros and see what my humble skills could manage. Now, my late father was my teacher and playing partner for a couple of decades. After his sudden and untimely passing, grief prevented me from touching a golf club for four years. 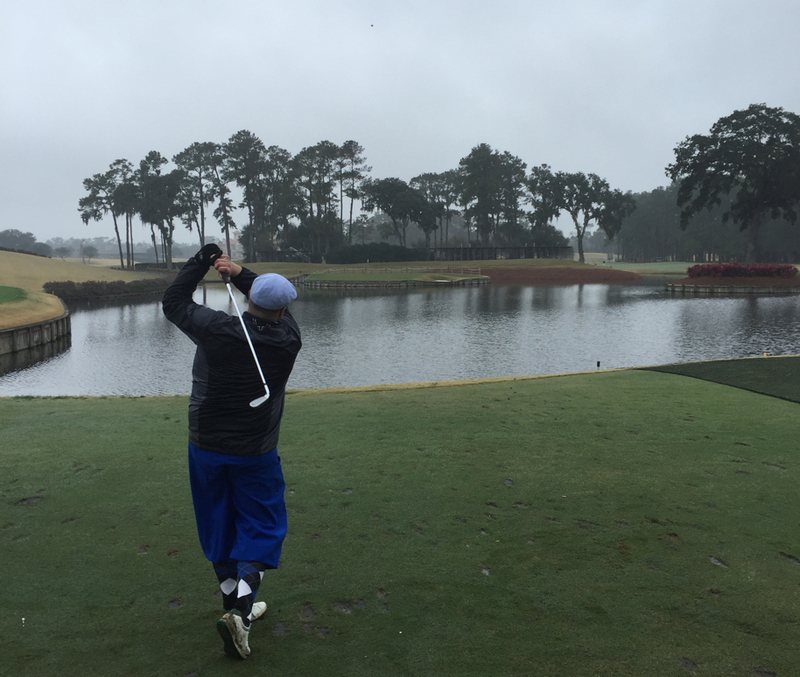 Eventually realizing that I wasn’t serving his memory well by avoiding a game he loved and gave to me as a lifelong gift, I got back into both the game and writing about the game for moments like my steps toward the 17th tee at TPC Sawgrass. I wished he could’ve been with me as I stepped to the tee. Of course, there are those faiths ad philosophies that would say he was somehow. I left those questions to the saints as I grabbed my nine iron. My caddie stopped me 10 feet from the tee box. He insisted that my nine wasn’t enough club. While I would never argue with a caddy who walked in the loop for more than 2,000 rounds at TPC Sawgrass according to his estimation, I was shocked at his call. At 137, I was worried the nine iron was already too much. The shot struck me as a tweener between my natural nine and pitching wedge. However, normally sunny Florida greeted us with cloud cover and constant drizzle that day. My caddy insisted the cool air and thorough damp would stop the ball from compressing. He handed me my eight iron and sent me toward destiny. When nervous, it’s important for a golfer to remember his or her movement to the ball is called a “swing” and not a “hit.” You have to trust the swing so hitting the ball is almost incidental. That helps to prevent the tensing up that causes over-swinging. So, as I stood over my tee shot at the 17th of Sawgrass, I took a deep breath and checked my grip, arms and shoulders for tension — and I managed a fairly “easy does it” tee shot. I tend to hit my irons high, and this followed suit. My big moment at TPC Sawgrass soared skyward — and began to fade right on a hole where drawing and fading are unadvisable. The ball splashed about five feet right of the island — well struck, but inaccurate. There is no forgiveness to be found at 17. On a par three like the Island Green, a wet ball means repeating the tee shot instead of dropping for a second shot. So, I had to face the nerves again. Now they were compounded with final pressure. While my first shot was a close miss, I had to nail the second or face the humiliation of picking the ball up and admitting defeat — leaving with no real story beyond admitting failure. So, keep the weight forward. Easy slow and go. Follow through naturally. Pinch it. I put the second shot on the dance floor, 20 feet from the pin. In the final photo, you’ll see the ball in the air tracking to the green. It was a relieved walk to the narrow land bridge that takes a player to the putting surface — so much relief in fact that I didn’t much care about the probably two-putt awaiting me. In golf, as in life, we often do our best work when we’re not thinking about it. We let instinct take the fore. True to form, I casually stroked the putt without two minutes of observation from every angle and 30 seconds of practice shots over and behind the ball. I simply (and fortunately) knocked the ball home for my legit, witnessed, one in the water, penalty stroke, second on the green, one putt bogey on the 17th at TPC Sawgrass. A few fist pumps later, my caddie called it “a bogie from heaven,” leaving me to wonder if my old playing partner hadn’t given the ball a nudge. 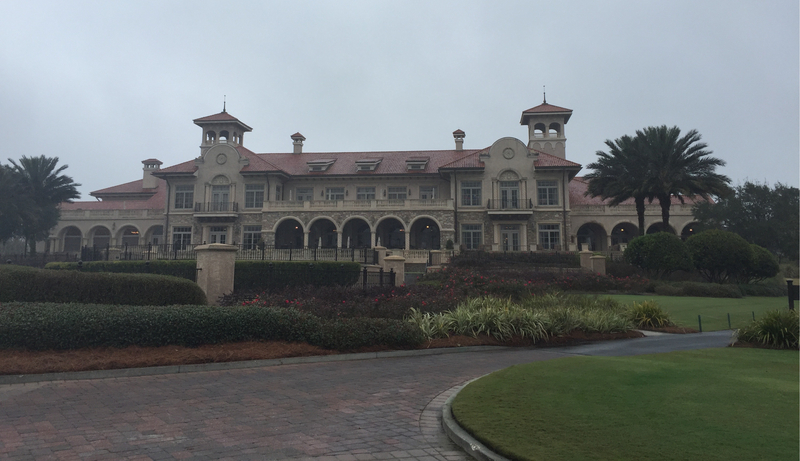 I’m proud to tell my TPC Sawgrass story. It makes for an icebreaker with other golfers. But, true to form, the player within me is never satisfied. If only I’d have hit the second shot right off the bat, I would be able to say I birdied the most famous hole in golf. Maybe I shouldn’t push my luck.